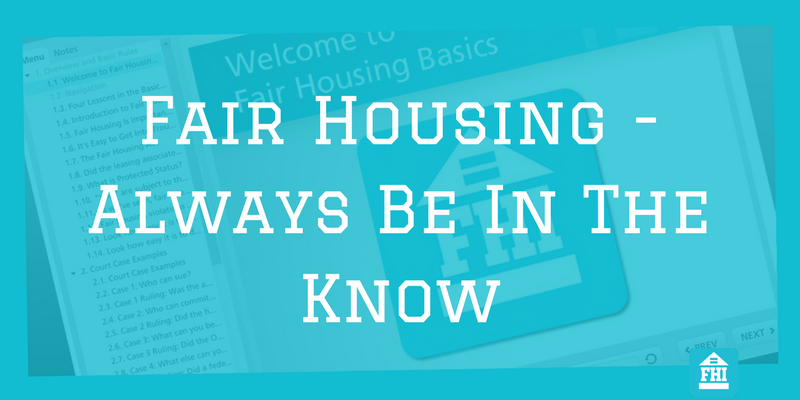 Fair Housing - Always Be In The Know - The Fair Housing Institute, Inc. So what happens when you break Fair Housing laws? You face litigation, fines and then you are forced into taking training sessions. Why not do everything you can to avoid the first two items by focusing on the third. And it is not a simple matter of memorizing the protected classes, it’s a matter of applying them with what happens onsite. Many times just out of pure innocence you can ask a wrong question such as: “How many kids do you have?” and be accused of violating the Fair Housing act. You may think that this is just friendly conversation but after a solid Fair Housing class you will learn that there are different ways to be a friendly communicator without getting yourself into trouble. What can you do to keep your onsite teams in tune? Repetition is critical. Your employees do not pay their own liability so do not tolerate any push back from them if they resist your Fair Housing training program. Training is essential. However there is no need to take a boring approach to it. If you are going to just make them review scripted text content, then that can be quite painful. But if you put some effort into it and get creative then this can really help instill the fundamentals. Why not try role playing? Jot down a few common possible slip of the tongues and role play for your team. Show them what not to do and then show them what to do. Reenacting scenarios takes your team past the seven protected classes and puts them into a realistic onsite situation. Another helpful way to remind your team is to share with them news items that relate to Fair Housing. Share with them when you find articles that involve violations of the Fair Housing Act and highlight what lead to the situation. This is not to scare them into compliance because this can really make a leasing professional feel fearful or timid when dealing with a prospective resident. Reassure them that awareness brings fortitude. The reason why litigation is being brought against these select property management companies and individuals is a result of more than likely little or no training. Be quick to commend when you see your team make decisive comments to a prospect that highlights their compliance with the Fair Housing Act. The big lesson to take away from this is the need to be compliant in our industry. Don’t water it down. Don’t dismiss it. And certainly do not be negligent. If any of your employees are resistant to taking Fair Housing training just simply ask them: “Who pays your liability insurance?” The fact is your property management company needs to be protected. Help them see the value of their training. Avoid the simple blunders like the example of the rental application highlighted. Remember that Fair Housing training protects your team. 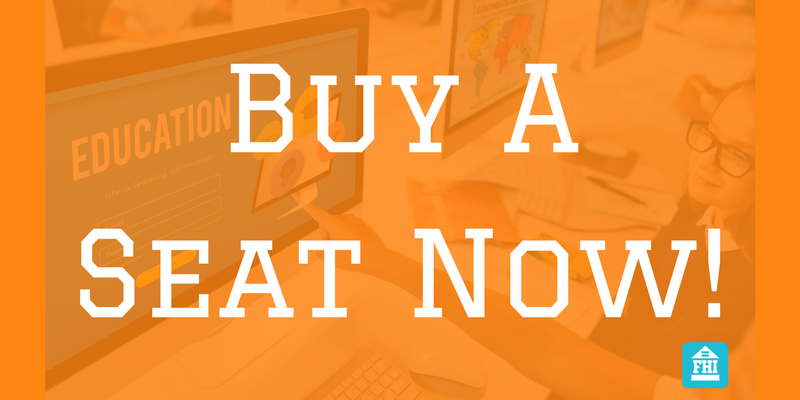 It protects you and it protects the future of your company.